Jakarta - Surprise created by Google related announcement of the presence of the latest version of the Android operating system. And the new name is Android KitKat! Previously widely reported that Google will ordain Key Lime Pie as a name for the new version of the Android operating system 4.4. This indication is getting stronger as Google likes to call the operating system by name and in alphabetical order dessert. Android KitKat course reminds us of the famous names made Nestle chocolate snack that also has the same name. But Google is implicitly denied the existence of special collaboration between Nestle with Google. 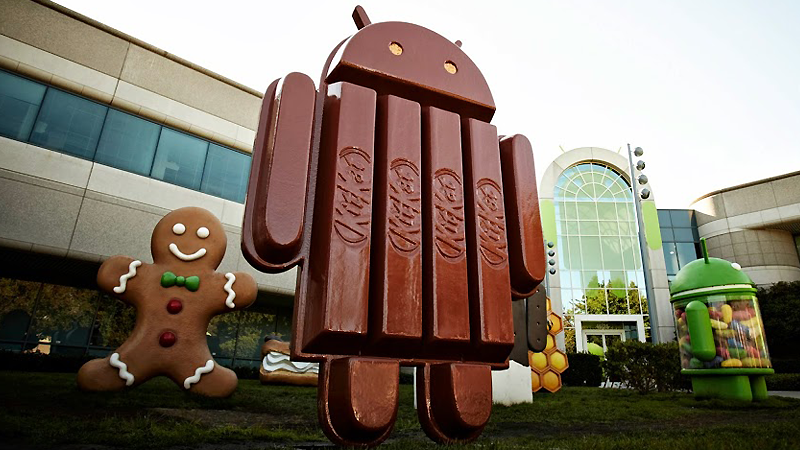 "There is no kind of agreement under hand to smooth the name KitKat for the Android operating system," said John Lagerling, Director of Android Global Partnerships, as quoted by the BBC on Wednesday (09/04/2013). In order to ensure the name is, as usual artifacts Android statue with his name on the front page version of the Google office. "After coming back from Asia, I was delighted to see that greeted me on the front page - I love seeing the statue # AndroidKitKat and can not wait to launch the latest version of the platform," Google officials wrote to Android, Sundar Pichai, on his Google+ page.